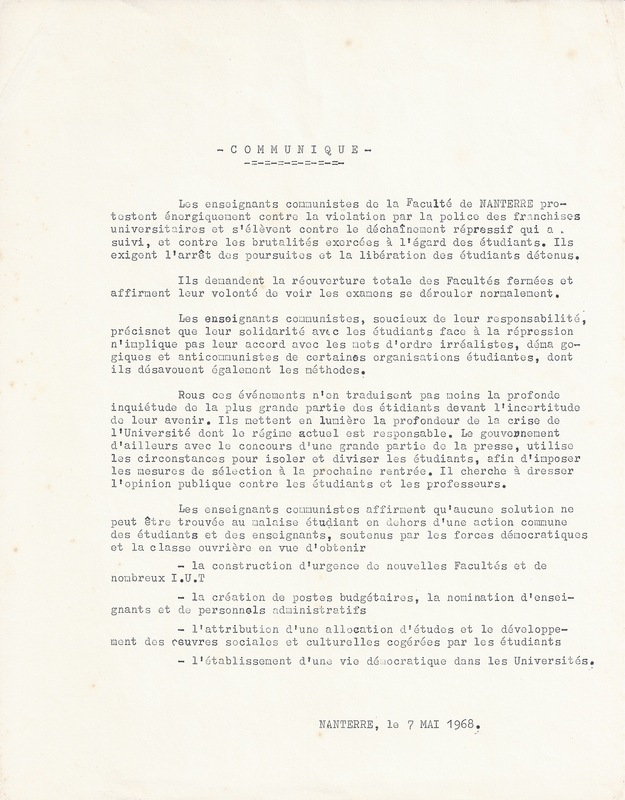 In the Parisian suburb of Nanterre, as in many of the university cities throughout the world, the students are in turmoil. The reasons for their agitation are variable, it’s rather a matter of tension related to a certain anxiety over the future. 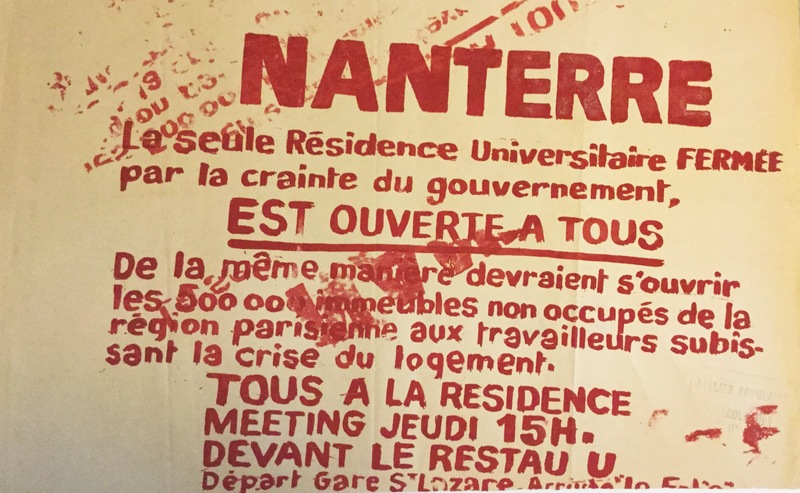 In our photo the extremist students of Nanterre have occupied the great amphitheatre of the Faculty and are demonstrating loudly, singing revolutionary songs.